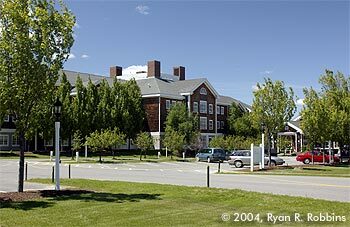 An affiliate of Eastern Maine Healthcare, The Acadia Hospital opened Aug. 27, 1992, making it Bangor's newest hospital. Acadia provides about 100 beds for the treatment of mental illness and substance abuse disorders, with wards for children, adolescents, and adults. As an acute care hospital, patients stay an average of 10-14 days. The hospital operates a detox center at the former Dow Air Force Base, the Acadia Recovery Community, or ARC. The hospital also operates a methadone clinic on hospital grounds. The low staff-to-patient ratio ensures quality care for Acadia patients. Patients are assigned a psychiatrist, clinician, and primary nurse to form a treatment team that works with patients and their families to develop a treatment plan. The hospital primarily provides milieu treatment, in which each ward of the hospital is its own community. On week days, patients attend a variety of groups, such as stress management, dual diagnosis, group therapy, leisure skills. On week nights, patients attend an education group or an activity group. Patients can also use the hospital's half-court gym. The privacy of patients is paramount and the nursing staff is first-rate. Acadia offers an education group every Sunday for family and friends of inpatients, and patients can attend a non-denominational church service Sunday afternoons. The hospital also provides meeting space for Alcoholics Anonymous, Narcotics Anonymous, and other support groups. For patients who are not at risk, Acadia offers two outpatient programs: one track meets twice a week while another meets daily. For admissions information, call (800) 640-1211. For other departments, call (207) 973-6100. Maine's statewide crisis telephone number is (888) 568-1112. In an emergency, call 911. Address: 268 Stillwater Ave., P.O. Box 422, Bangor, ME 04402-0422. 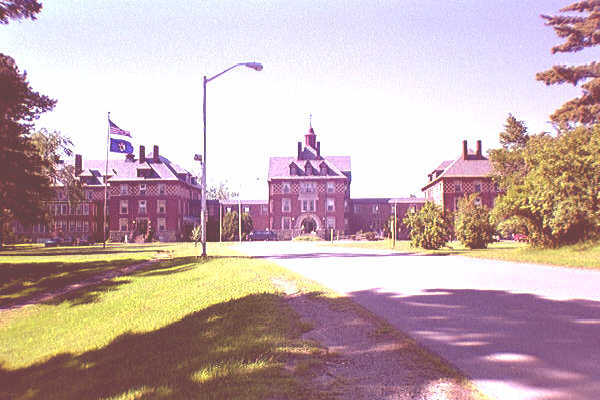 Formerly Bangor Mental Health Institute, the Dorothea Dix Psychiatric Center is the youngest of Maine's two state mental hospitals, the other being Riverview Psychiatric Center in Augusta (formerly Augusta Mental Health Institute). The hospital opened officially on July 1, 1901. Downsizing and deinstitutionalization have reduced the number of BMHI's beds from more than 1,000 in the 1960s to fewer than 100 today. The hospital primarily provides acute care for patients admitted involuntarily. For more information, call (207) 941-4000 or (207) 941-4322 (TDD). Maine's statewide crisis telephone number is (888) 568-1112. In an emergency, call 911. Address: 656 State St., Bangor, ME 04401. The second-largest hospital in the state, Eastern Maine Medical Center provides 411 beds for the Greater Bangor area and has a 27-bed children's hospital. Each year EMMC treats more than 40,000 patients and delivers more than 1,000 babies. The hospital provides 24-hour emergency care, is one of three hospitals in the Maine Trauma Center system, and has a helipad for Maine's LifeFlight air ambulance service. Other EMMC services include a full range of diagnostic tests including magnetic resonance imaging and a heart center. 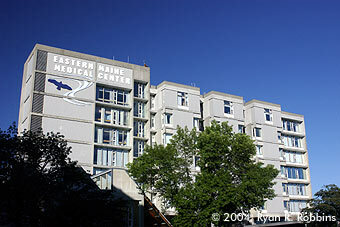 The hospital's parent company, Eastern Maine Healthcare, also runs the Eastern Maine Healthcare Mall on Union Street in Bangor, which includes the newly opened Eye Center of Eastern Maine. Outpatients and family and friends of inpatients who have to travel long distances to the hospital may stay at the Riverside Inn, adjacent to, and connected with, EMMC. The hospital opened on June 7, 1892, at the Mace House as Bangor Hospital. The Mace House remains a part of the hospital today. When it became apparent after a few years that it was serving not only patients from the Greater Bangor area but from all over eastern Maine, the hospital changed its name to Eastern Maine General Hospital. 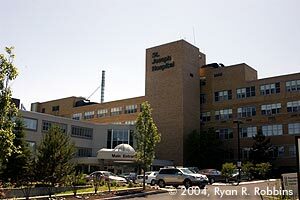 In the 1970s the hospital adopted its current name to better reflect its services and mission. For more information, call (207) 973-7050. Address: 489 State St., Bangor, ME 04401. Founded in 1947 by the Felician Sisters, St. Joseph Hospital provides 100 beds, a 24-hour emergency room, and a wide range of diagnostic testing including magnetic resonance imaging. It is the only hospital north of Portland able to treat kidney stones with shock waves. The hospital provides a wide range of women's health services. Its parent company, St. Joseph Healthcare, recently opened an office complex near outer Broadway. A former superintendent of Eastern Maine Medical Center, Ellen Paine, founded St. Joseph's predecessor, Paine Private Hospital, in 1906 on Center Street. For more information, call (207) 262-1000. Address: 360 Broadway, Bangor, ME 04401. Established in 1883, Community Health & Counseling Services is a nonprofit agency that provides home health care and psychiatric services to children and adults. CHCS provides a wide range of services, including case management, psychiatric nursing, pediatric nursing, AIDS care, occupational therapy, and housing. Children's services also include foster care. CH&CS sponsors the Northeast Crisis Services Warm Line, for people with mental illness and their family and friends who are seeking someone to talk with in a non-emergency situation. The Warm Line serves Penobscot, Piscataquis, Washington and Hancock counties. For callers in the local calling area for Bangor, the number is 945-5625. Callers outside of the local calling area can call toll free, (800) 490-8748. CHCS is accredited by the Joint Commission on Accreditation of Healthcare organizations, or JCAHO. For more information, call (207) 947-0366. Address: 42 Cedar St., Bangor, ME 04401. Northeast Occupational Exchange is a growing nonprofit agency that provides mental health and substance abuse services to children and adults. Services NOE offers include a toll-free 24-hour crisis hotline, counseling, day treatment programs, occupational therapy, dual diagnosis treatment, case management, discharge planning, job placement, and parenting training. For more information, call (207) 942-3816 or (800) 857-0500. Address: 29 Franklin St., Suite 1A, Bangor, ME 04401; 22 Merchants Plaza, Bangor, ME 04401. 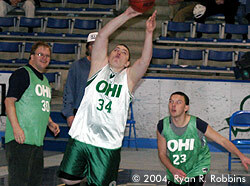 OHI provides services for children and adults with mental retardation or mental illness. Services include group homes for adults, foster care for children and a day program. Help for independent, low-income people with mental illness includes low-cost loans for rental deposits, help identifying needed public services such as food stamps, fuel assistance, Social Security benefits, Medicaid (known as MaineCare in Maine), Medicare. People with mental illness who can live independently for the most part but might need immediate help can take advantage of OHI's supported apartments program. OHI will also help people with mental illness find permanent housing and emergency housing. For more information, call (207) 848-5804. Business office address: 25 Freedom Parkway, Hermon, ME 04401.